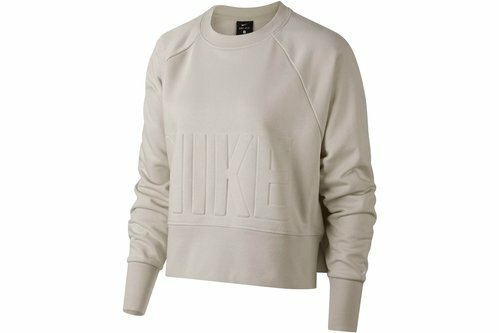 Casual comfort delivered ina crop, grab this Nike Versa Ladies Training Top in Beige while you can. The Nike Versa Training Top features Dri-FIT Technology designed to keep you dry and comfortable, with raglan sleeves allowing for a full range of motion. This top is ideal for everyday wear as it's made from fabric that feels soft to the touch and comes embossed with the Nike graphic.